Arrive in Delhi. Meeting and transfer to hotel. Delhi is a city of immense past. It is dotted with hundreds of landmarks and has accumulated a tremendous heritage of art, architecture and culture. City tour visiting Presidential Palace, Parliament House, Jantar Mantar- the medieval observatory, the 16th century tomb of Mughal emperor Humayun and India Gate, Red Fort, Jama Masjid- the largest mosque in Asia, Raj Ghat and Shantivana the cremation sites of Mahatma Gandhi and Jawaharlal Nehru and local bazaars. Morning drive to Agra enroute visiting Sikandra Fort. On arrival check into the hotel. Later visit Taj Mahal and Agra Fort. Night stay in the hotel. Morning drive to reach Jaipur. En route visit to Fatehpur Sikri. Arrive at Jaipur & check-in at the Hotel. Overnight stay at the Hotel. The Pink City is known around the world for its people and exotic palaces, its culture & arts, Jantar Mantar Observatory, Palace of Winds & Amber Fort. City tour visiting City Palace, Hawa Mahal (Palace of Wind), Jantar Mantar. An afternoon elephant ride will take you to Amber Fort and its sandstone palaces perched atop a hill. 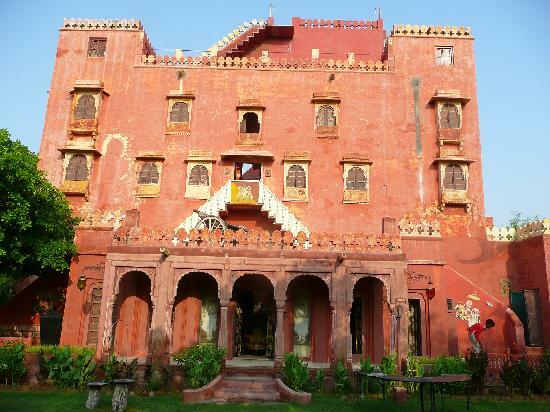 Within its precincts is Sheesh Mahal or chamber of mirrors reputedly the best in the world, Victory Hall and Pleasure Palace. Transfer to Pushkar Fair by car / coach. It is believed that Hindu God Brahma was pondering about a place to perform a Vedic rite when a Lotus flower fell from his hand and water gushed out from that spot in this desert. Lake Pushkar is considered to be the only one of its kind in India! Thousands of faithful assemble here every year on a full moon day to celebrate the occasion & pay homage to their lord. In a continuous celebration for three days & nights they turn this desert land into a colorful bazaar. The desert becomes alive with colors, music, sounds and excitement. At the fair. View & participate in various festival activities & camel races. Morning transfer to the Ajmer railway station to board Shatabadi express to Delhi. On arrival check into the hotel. Rest of the day free for rest, shopping etc. Night stay in the hotel.